The current trend for large capacity sports bikes with no clothes on is one that we’re big fans of here. EBR want in, with this, the 1190SX. With much componentry carried over from the EBR 1190RX superbike, the 1190SX is a genuine high-performance motorcycle with a racing heritage. True to its ‘streetfighter’ designation, however, the 1190SX is designed to be a dominating street machine. Featuring an athletic upright riding position and wider handlebars for nimble handling, and minimalist bodywork for lower weight, the 1190SX is equally at home carving canyons on the open road or taking on the concrete canyons of the city. 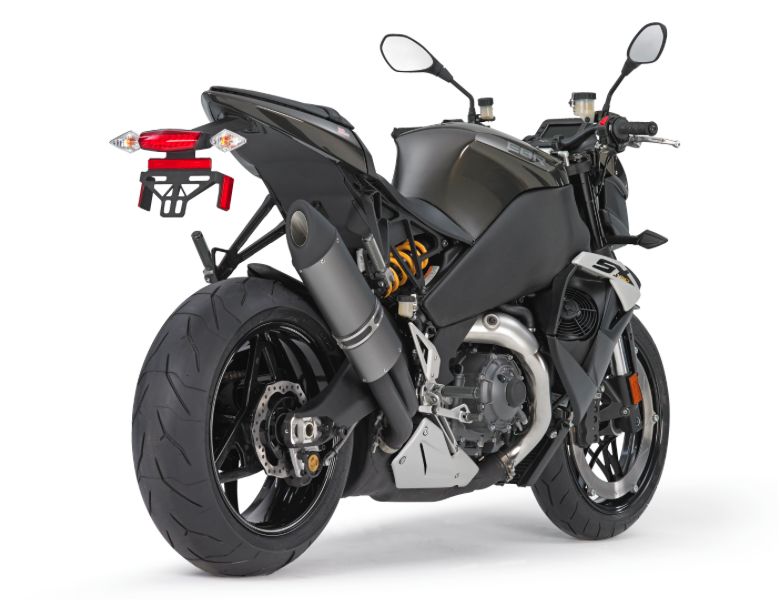 As with all EBR sport bikes, the 1190SX features many Erik Buell signature innovations to optimize handling and performance, such as fuel in the frame for lower weight and centralized mass, hubless wheels and perimeter brake rotors for lower unsprung weight, and EBR’s proprietary Controlled Swirl Induction (CSI), which improves power and fuel economy, while lowering exhaust emissions. 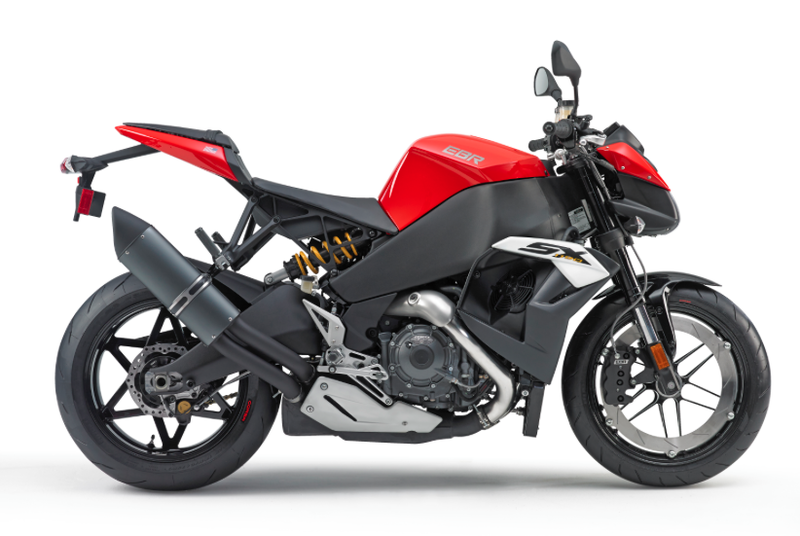 The EBR 1190SX will be launched in Europe as of October 2014 and will be available in white, red and black color schemes.